Rev. Kim Hong-Sool, Busan SPARK/ Image provided by Rev. Kim Hee-Yong. For more photos, see here. Rev. 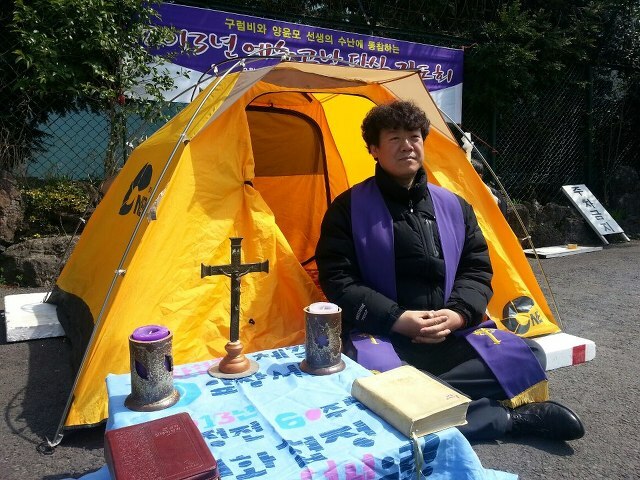 Kim Hong-Sool, representative of Busan, SPARK, and Rev. 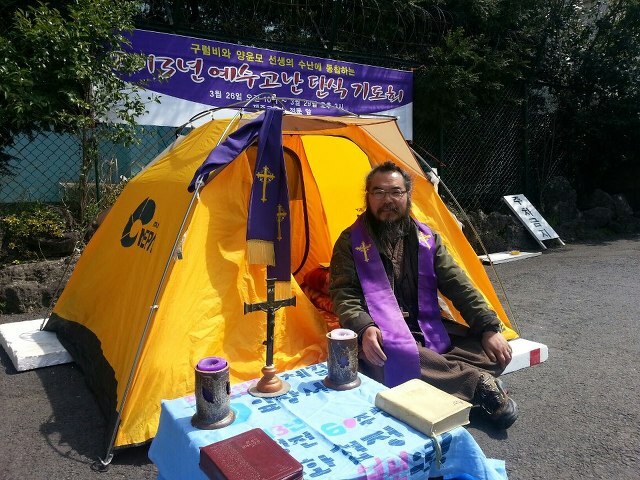 Kim Hee-Yong, Gwangju, have taken a fast prayer meeting in solidarity with the sufferings of Prof. Yang Yoon-Mo and Gureombi Rock in front of the Jeju prison from March 26 to 29, 2013, during the Passion week according to the Christian faith before Easter. In the press conference ending their fasts, they demanded release of the political prisoners for opposition activities against the Jeju naval base construction, retraction of fine sentence, and construction stop. 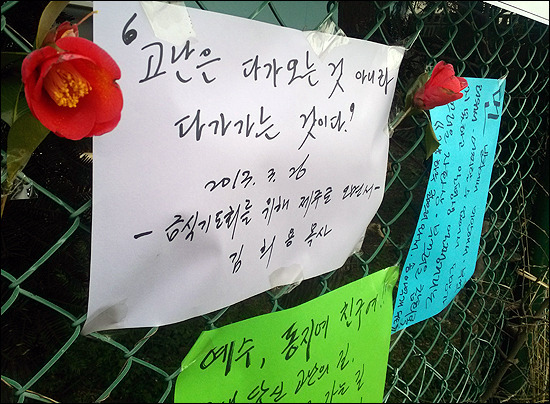 In their statement to the citizens and Island people, they stated that it is the crucifixion of this era that there are the imprisonments of the villagers and peace activists who have peacefully made efforts to stop the naval base construction in Gangjoeng and the reality that a community that has lived peacefully from its ancestors is moaning. 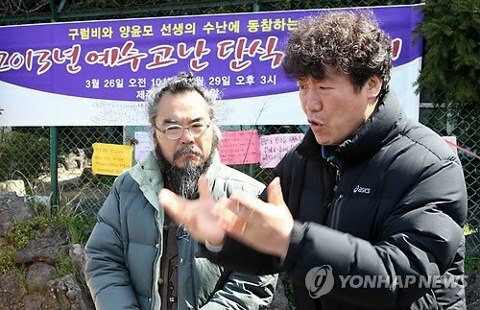 Saying on Park Sung-Soo (38), a peace activist that chose a prison labor rather than fines of 1,500,000 KRW, that “a dedicated activist has entered the prison choosing hardships,” they urged to release all the prisoners and retract heavy fine sentences. In their ending prayer, mayor Knag Dong-Kyun and chairman Go Gwon-Il joined the event.